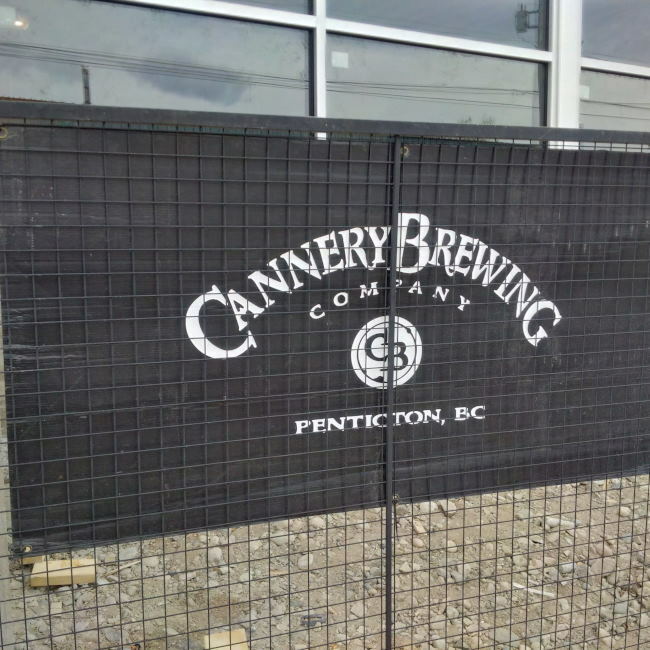 Cannery Brewing has been located in the old Aylmer Fruit and Vegetable Cannery in Penticton since 2000 although the first beer was not brewed until April 1st 2001. The location not only gave them the name for the brewery but it has served them well for a long time. The brewery has finally outgrown this space and needed a new space to fill. If you had read my brewery tour post from July 2013 you will also know another issue that this brewery fought yearly. The old space had awful ventilation and no air-conditioning. It was not out of place for the brewery to be well above 30C in the summer which is not a comfortable temperature to brew at! I know that I would die at that temp even just hanging around while they brewed. Luckily for me (ok well really it has nothing to do with me but more the brewers) they are building a brand new brewery! The new brewery is located in downtown Penticton not far from Bad Tattoo Brewing. Not happy with just finding a new building downtown they did it the hard way. They have built a brand new warehouse building which is attached to an old auto garage (their tasting room). I was lucky enough to be one of a small group of press that was getting the first ever tour of the brewery. Because of my line of work I know the construction style well in Tilt-Up warehouses and the panels had a nice touch with the Cannery logo inlaid into the panel (ridiculously hard for this symbol). Once everyone had arrived we were led into the old auto shop portion of the building that will become their brand new tasting lounge. 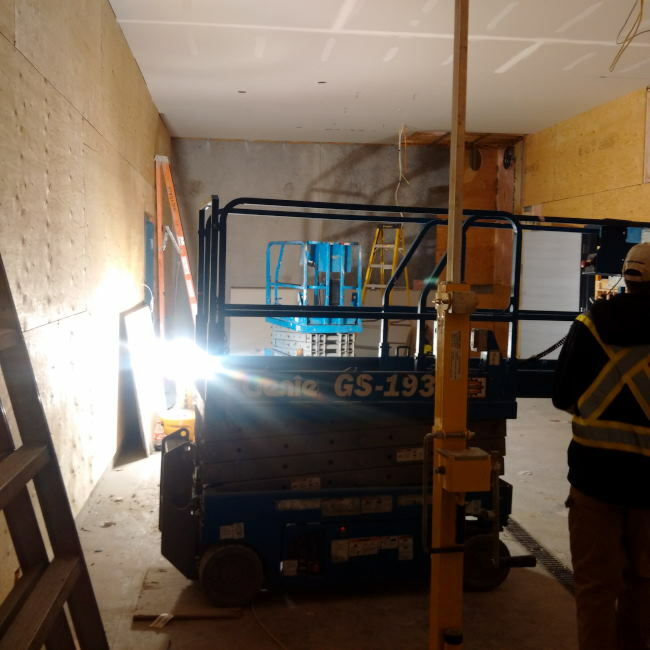 Construction on this portion of the project is just beginning but there will be a nice big tasting lounge with beer sales, small bites to eats, growler fills and memorabilia/swag for sale. Once finished in the tasting lounge we were led into the new storage area of the brewery where their cans and bottle will be stored until it is time to fill them with beer. The area was fairly busy with construction materials but when the brewery is fully operational there will be even less space as a container of cans is massive and will quickly fill this space! We then moved over to the brewery proper. The system was getting very close to being operational with glycol systems being hooked up soon after we left and the brew house in the final stages of setup. A temporary wall had to be built to hoard or close off the brewery space from the active construction so that once the brewery is set up they can start brewing right away. If they did not have this hoarding done then the brewery staff would have to wear steel toed boots and hard hats to brew and even possibly a high visibility vest as they would have to conform to the Work Safe BC standards for construction. The cooler construction is well under way and was actually the portion of the project that was being actively worked on when we were getting the tour. We were then lead into the packaging area. This area has a nice big bank of windows so that people will be able to watch the packaging process while it happens. If you know the brewing process then you will know that this is the only process that would be interesting to the average person to watch anyways! After the packaging area we were led upstairs where the offices will be located. This stair case will ensure that no high heals are worn by female staff at the brewery as it not only has a bit of a sway but it not a solid stair but corrugated. There are not many obvious rooms so far but there is a staff washroom and the lab upstairs. The lab is pictured below. If you know the construction industry at all or you can just deduce from the photos the brewery is still a while from completion currently. Luckily if they can get the tanks all hooked up and brew brew house itself hooked up they can brew right away! They will probably start with their lager that takes much longer to ferment as it is as the Okanagan in the Summer is a craft lager paradise! I am really excited for this construction to come to a close so I can get back to the brewery and do a follow up visit! As you read this they may have brewed their first batch of beer. You never know but if not yet very soon! 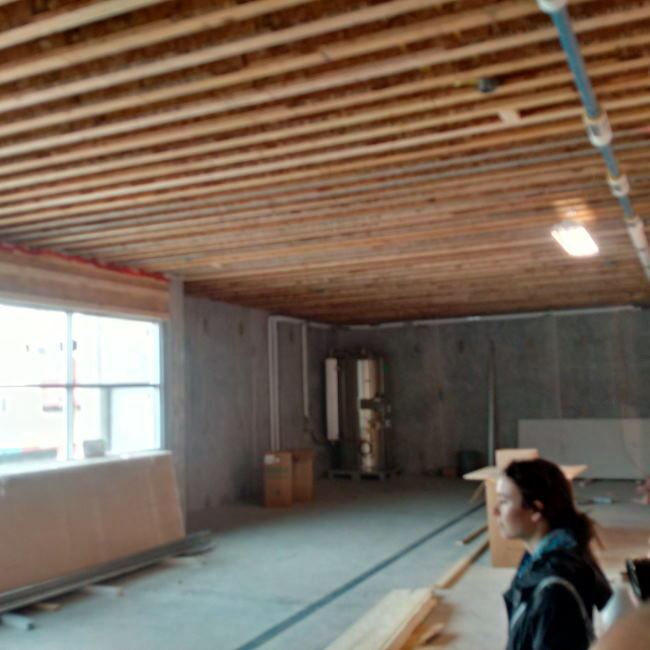 This entry was posted in Beer Travel, Brewery and tagged bc, brewery, canada, cannery brewing, construction, construction update, okanagan, penticton, update. I bet when all is up and running will be sending more of their beer out of Province.